Amazon has the Paw Patrol Marshall’s Transforming Fire Truck with Pop-out Water Cannons, for Ages 3 and Up priced at $12.99 with free shipping. Transforming toy fire truck: Marshall is ready to save the day in his transforming fire engine! with working wheels and a flip-open megaphone, this fire engine is on its way to an exciting mission! 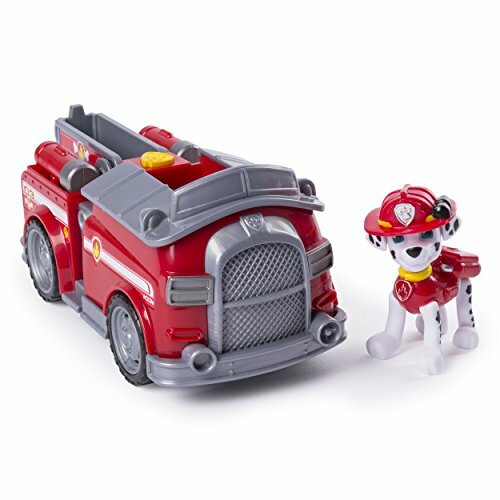 Extendable water cannons: push the Paw Patrol badge on the back of marshall’s fire engine to activate the water cannons! Lift and lower ladder: marshall’s transforming fire engine comes with a ladder that lifts and lowers! use it to save the citizens of adventure bay! Marshall’s transforming fire engine is a great gift for kids aged 3+. add the rest of the Paw Patrol transforming vehicles to your collection and recreate the world of adventure bay at home!